Have you ever wondered how generators create electricity in a three-phase power system? If your test set reports time delays in seconds, but the relay is supposed to operate in 6 cycles, how would you figure out if the test passed? Have you ever noticed that your SEL relay frequency tests are always a little off? And the further the test frequency gets from 60 Hz, the worse it gets? Can you tell the difference between an ABC or ACB in a three-phase power system by looking at the waveforms? We have your answers in this online training course. Relay testers are often thrown to the wolves and expected to just “figure it out.” Unfortunately, this often means that you figure out what you need to do to get that pass on your test sheet, not realizing why your tweak to the test plan worked. This usually works for a while until it doesn’t, and you’re back to square one. It would be an easy fix if you would have received the proper training from day one. 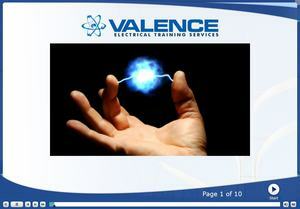 Watch these two videos to see what skills you need for online training and how to navigate the online training course here at Valence Electrical Training Services. All of our online training videos use Flash technology that should work on all Windows computers or tablets. You can view the course on Android tablets with the Dolphin Browser for Android, or on an iPad with the free Puffin Web Browser. We found that the paid version of Photon Flash Player for iPad had better performance on an iPad. The The Three-Phase Power System online training course is eligible for 4 NETA Continuing Technical Development Credits (CTDs). NETA Certified Technicians (Level III and Level IV) are required to earn a minimum of 48 CTDs every three years to maintain their certification. For more information about the CTD program and requirements, please contact the NETA office at [email protected] or 888-300-6382. I found this course to be very useful in understanding the fundamentals of three phase power systems. It was extremely easy to follow along. Very clear, cadenced rhythm with the video narration allowed me to understand without having to backtrack. The course material would be suitable for technicians or students looking to get a grasp on three-phase power systems and converting between cycles and seconds; a must have for any relay technician. I appreciated the real world examples and exercises, which will help me when I come across these specifics problems in the microprocessor based world of protection relays. Overall I highly recommend this course! Great fundamental courses, preparing you for any relay testing out there. Excellent refreshers for someone in the field who doesn’t deal with phasers and/or frequency/time/cycles conversions very often. Great for satisfying NETA training requirements. Very good course to take online! The course was easy to follow along, very interactive, and descriptive. In order to clarify already understood concepts and learn new ones in order to make themselves a more confident and reliable relay tester and commissioning tech. Also to be able to mentor in the correct manner to hopefully eliminate some of the so many bad habits of testers in the industry. If you want to take your relay testing knowledge to the next level, this course is a must! If you don’t have any experience about relay testing, this will be little bit hard to understand. However, in my case, I just watched this course so many times before relay testing and now, I can go on right way to do it with confidence. This is really valuable for your carrier as relay tester. How did you feel about testing relays before the course? I have never experienced before and just did bench top relay testing. How did the course help you? increase my knowledge regarding protection relay world and now I did my first job of SEL-700G for FAT testing. Very exciting and there are lots of fun and interests. to verify their knowledge with other expert. since sometimes, they are very stubborn and tend to believe their experience. Everyone who works on power systems in any capacity needs a thorough understanding of phase sequence/rotation because its not a matter of if you’ll need it, but when. Without it, the probability is very high you’ll end up in a situation you don’t understand with no idea how you got there. I’ve done enough coursework in my life in various disciplines and trade crafts to have forgotten some of them. 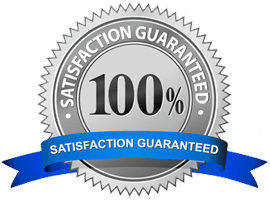 In all of my studies, I have rarely met an instructor who knew their material better, delivered it more clearly and effectively, or who obviously enjoyed teaching their subject more. His class helped me understand relay testing at a level far above what I knew before I took it. It would be difficult to overstate the value of his classes. I was unaware of relays either using nominal frequency or generated frequency so this helped alot. Take your time as you receive good information that will help remind you of the things you might pass over, as this was information taught to most in the early stages of electrical schooling. I like the nuts and bolts approach showing how an easily understood concept. Worth the time and money, a great class to utilize now and down the road.